When one of my sisters first showed me this photograph, I knew it was a major discovery. We know the occasion (Mom and Dad’s engagement party) and the time frame (June 1958). The task ahead is to identify every one of the 26 people in the photo. After discovering the medium-format negative, I scanned the photo larger to aid with identifications. David D. Hanneman and Mary K. Mulqueen were married on August 9, 1958 at St. Veronica Catholic Church in Milwaukee. About two months prior, an engagement party was held in their honor. I’m not fully sure of the location, but it could be at the Cudahy home of my grandparents, Earl J. Mulqueen Sr. and Margaret (Dailey) Mulqueen. We’ve made pretty good headway on photo identifications with the help of the then-bride-to-be and her sisters. The result so far? Of 26 people, only two remain unidentified, with one additional identification being tentative. View the full-size version of the photo here. Party by the numbers: See below for a key to faces, known and unknown. 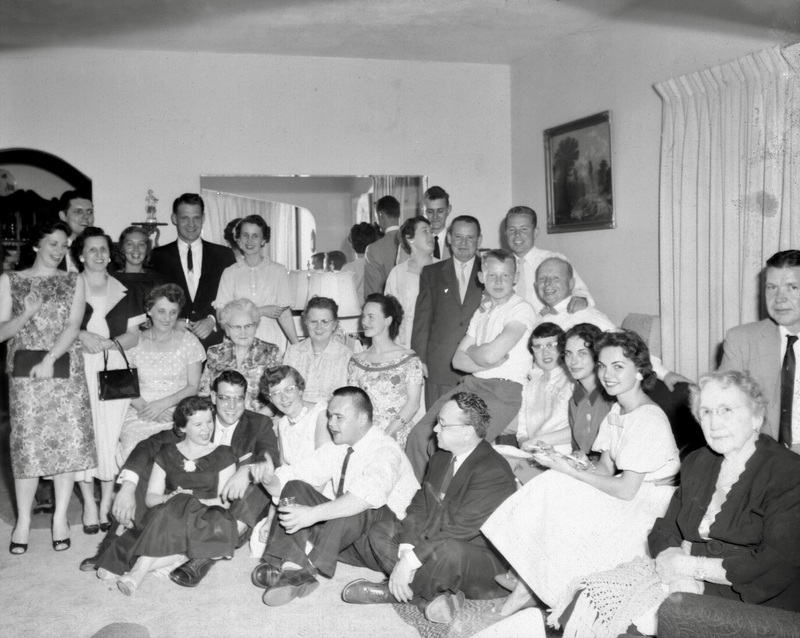 Since this post was first published, readers have identified several more people in the photograph. Elaine Hanneman reports that No. 2 is Bob Ripp, No. 24 is his wife, Marjean, and No. 4 is Ruby Curtis. At this party, Donn G. Hanneman and Tinker Mulqueen recognized each other from serving in the U.S. Navy during World War II, Elaine said. If you recognize any of the unknowns, leave a comment below so we can update this post. Below is the original photo without the numbering. You can access a high-resolution version here. This article has been updated with the names of several previously unknown individuals. Growing up in an Irish family of 11 children during the Great Depression and World War II left Mary K. (Mulqueen) Hanneman with vivid memories. The seventh child born to Earl James Mulqueen Sr. (1895-1965) and Margaret Madonna (Dailey) Mulqueen (1895-1982), she has tender memories of her parents and life in Cudahy, a southern suburb of Milwaukee. 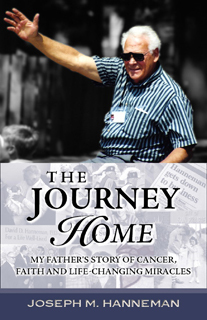 In April 2009, she sat down for an oral history interview with granddaughter Ruby Hanneman, 9, and son Joe Hanneman. The discussion covered subjects like how the big family made ends meet during the Great Depression, how having four siblings serving in World War II changed family life at home, and the lasting impressions left by her late parents. The presentation lasts 23 minutes 6 seconds. 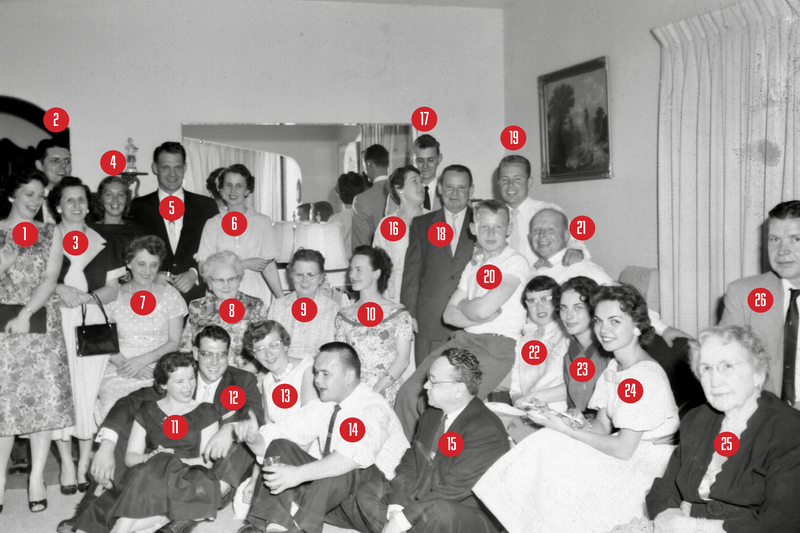 The photo above shows Margaret Mulqueen and husband Earl across the table for Sunday dinner in the late 1950s. The photo embedded in the SoundCloud player shows Mary with sisters Ruth (Mulqueen) McShane and Joan (Mulqueen) Haske outside the Mulqueen home on East Cudahy Avenue. Milwaukee was a key industrial production hub during World War II, and there was concern that spies or saboteurs would attack defense contractors or the public utilities that supplied them with power. 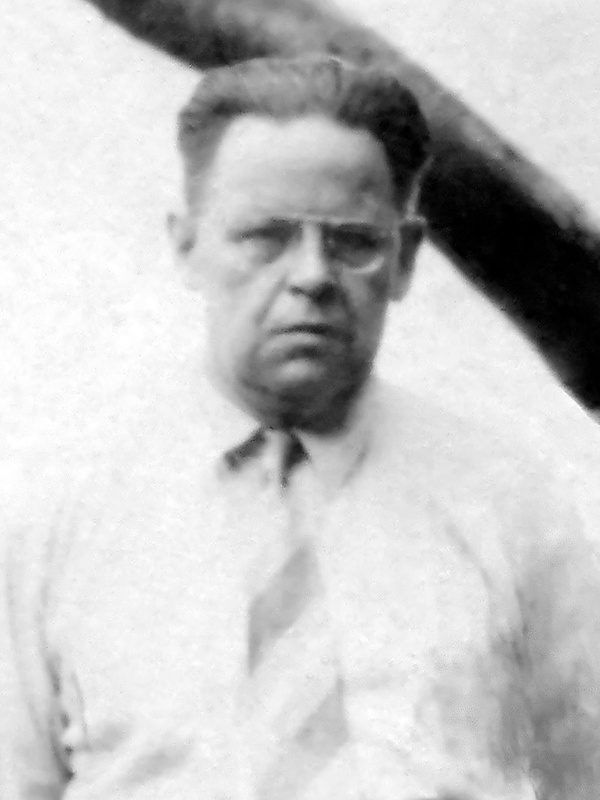 As a master mechanic at Wisconsin Electric’s huge Lakeside Power Plant in St. Francis, Earl J. Mulqueen Sr. worked under tight security to ensure the war effort continued uninterrupted. Nicknamed “The Governor,” Mulqueen was well known around his home in Cudahy as a Mr. Fixit. 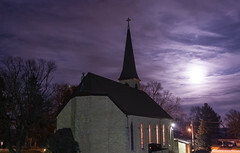 Whenever the boiler would go out at St. Frederick’s Catholic Church or school, they would call the Governor to come over and get things working again. When World War II broke out in late 1941, Mulqueen was just starting his third decade working for Wisconsin Electric. He put his mechanical skills to work keeping the turbines and other equipment at Lakeside in good working order. Earl Mulqueen Sr. worked at the Lakeside Power Plant in St. Francis for more than 35 years. Signs on and around the Lakeside plant carried a warning: “National Defense Premises. No Entry.” Armed agents guarded the plant 24 hours a day — part of a force of more than 1,000 men providing security at Wisconsin power utilities during the war. Because of his key role in keeping Lakeside in operation, Mulqueen received his own security protection. He often stayed at the plant for long stretches. When he came home to fetch clean clothes and pay a quick visit, he was accompanied by FBI agents. On occasion, an agent came alone to pick up clothes or other supplies for Mulqueen. Earl J. Mulqueen Sr. in 1944. The security precautions were warranted. Milwaukee factories were converted to war production of artillery, fuel storage, engines, turbines and all sorts of mechanical parts. 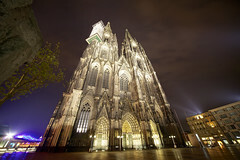 The build-up created huge demand for power. The nation could ill afford an attack that shut down a key plant like Lakeside. 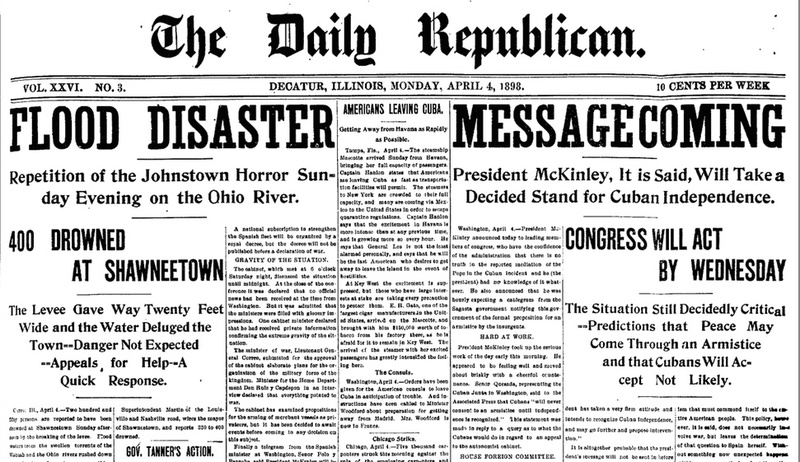 Even before the attack on Pearl Harbor, Wisconsin Electric officials expressed security concerns, and fears the Lakeside power plant could be attacked with explosives by boat from Lake Michigan. Nazi Germany launched just such a plan when it landed eight special agents on the shores of New York and Florida in June 1942. 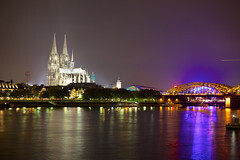 The German agents carried explosives and were tasked with blowing up U.S. defense industries and terrorizing population centers. “They came to maim and kill,” said FBI Director J. Edgar Hoover. 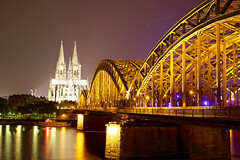 Codenamed Operation Pastorius, the plot was foiled when one of the saboteurs turned himself in to the FBI. Federal agents arrested the men and recovered high explosives disguised as pieces of coal. 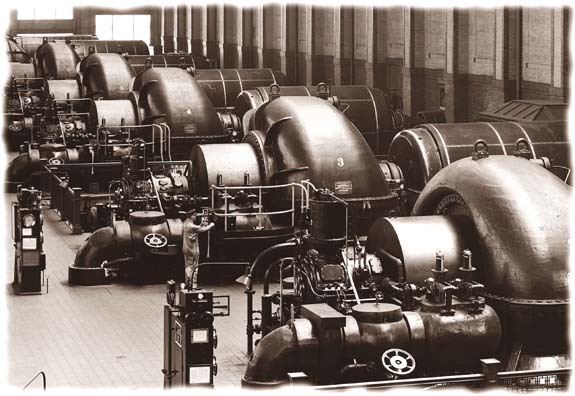 Steam turbines at the Lakeside Power Plant in St. Francis, Wisconsin. Such an attack could have been devastating. Manufacturers like Allis-Chalmers, Falk Corp., Ladish, Bucyrus Erie, Case, Heil Co. and many others produced components and finished goods for the U.S. military. 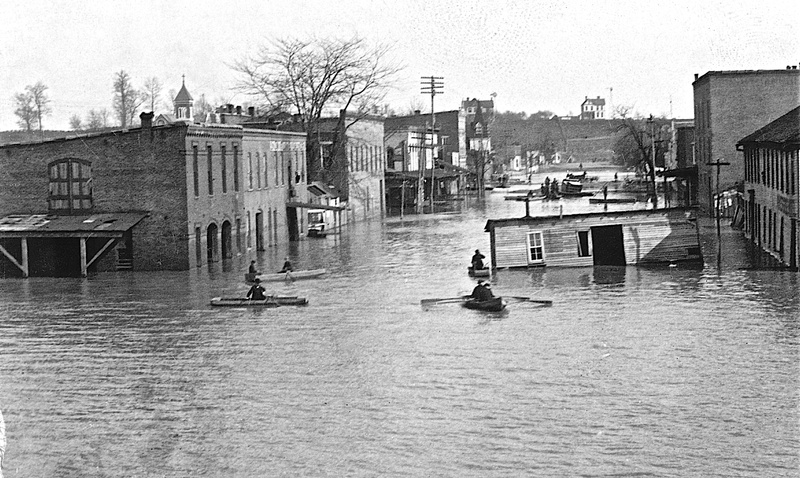 Everything from engines, to fuel trailers, to cargo and transport ships were built in eastern Wisconsin during the war. Wisconsin utilities scrambled to add generating capacity to keep up. 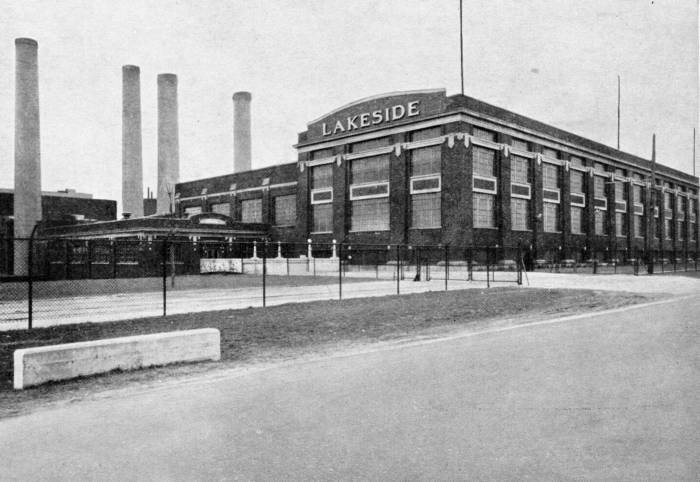 Opened in 1920, Lakeside carried the burden of power supply as the other generation plants were being built. 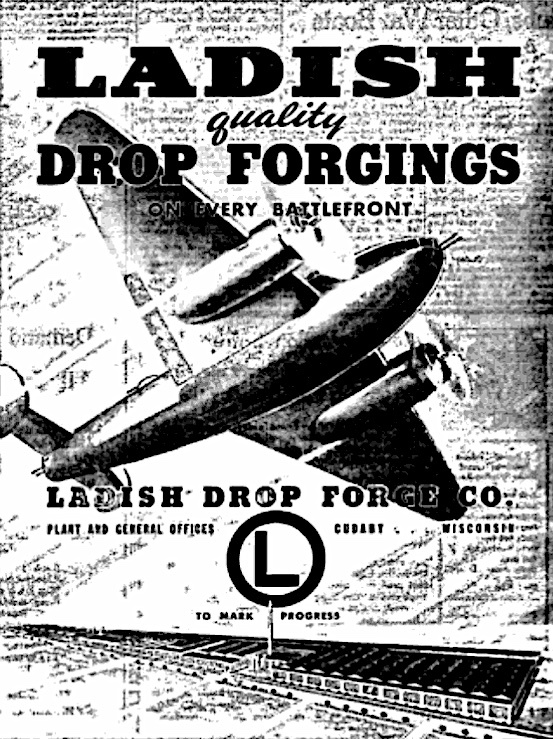 Ladish Drop Forge in Cudahy was one of many companies producing war materiel. Mulqueen left his job as a machinist at the Case plow works in Racine in February 1920 to work for the Milwaukee Electric Railway and Light Co. (later called Wisconsin Electric) as a machinist helper in the utility’s Racine operations. In November of that year, he married Margaret Madonna Dailey at St. Joseph Catholic Church in Racine. A former teacher, Miss Dailey had graduated in June 1920 from Northwestern University. 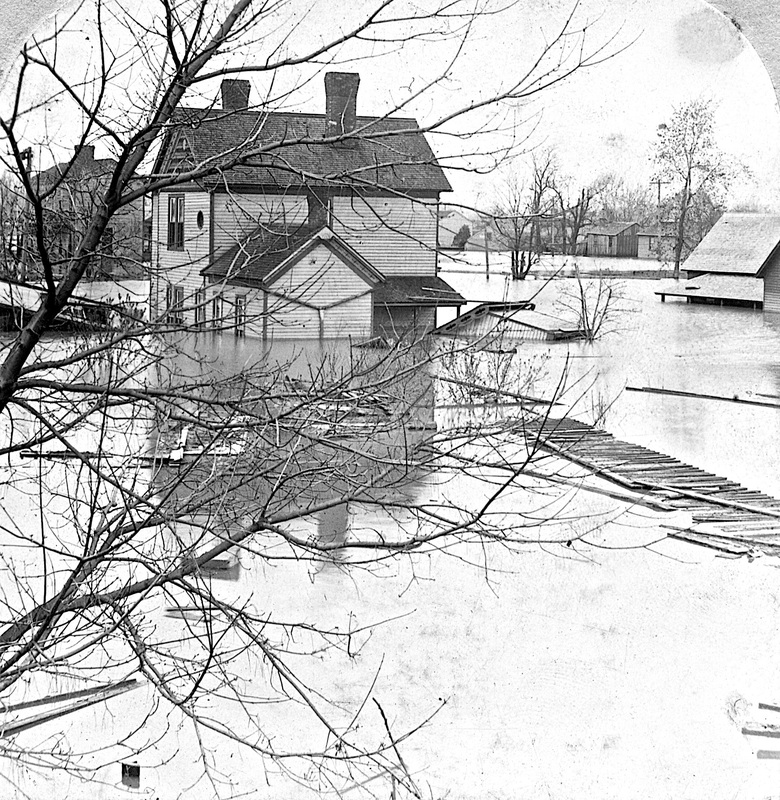 Earl worked in Racine until 1925, when he was transferred to the Lakeside Power Plant. The Mulqueen family then moved to Cudahy. The couple had 11 children; six of whom served in the U.S. military. 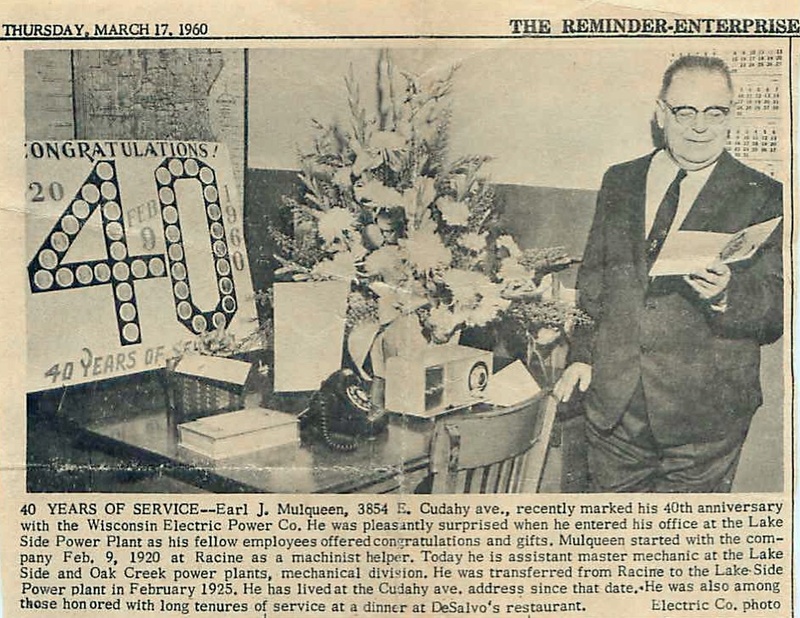 The Reminder-Enterprise in Cudahy carried a photo from Earl J. Mulqueen Sr.’s 40th anniversary with Wisconsin Electric in March 1960. Earl Mulqueen Sr.’s role was part of a family effort in World War II. His daughter Margaret and sons Earl Jr., Patrick and Tommy were in the military. Mrs. Mulqueen did volunteer work, including appearances at war bond drives with her one Marine and two sailor sons. Son Eddie, wishing he could serve with his brothers, donated his prized hunting knife to the war effort. All considered, the Mulqueens did more than their share to win the war.